Last Thursday i finally finished up with a site i had been working on for about a month. The timing for getting this job couldn’t of being worse, i had a lot on my plate with work and other personal matters, and this resulted with me having to delay the start of the site for a while. My initial plan was to have the site ready for Easter week, for a while it didn’t look like i would reach the deadline, but i just about managed after having no internet access for the two days coming up to the deadline, so i had to stay up late to get the site completed. This site was a new challenge for me in a few ways. The biggest challenge was with a shopping cart feature that was requested. I had never up to this point incorporated a cart on such a large scale. I used a bit of PayPal integration with a previous site, but this was all new to me for this project. The site i was building was for a garden centre. 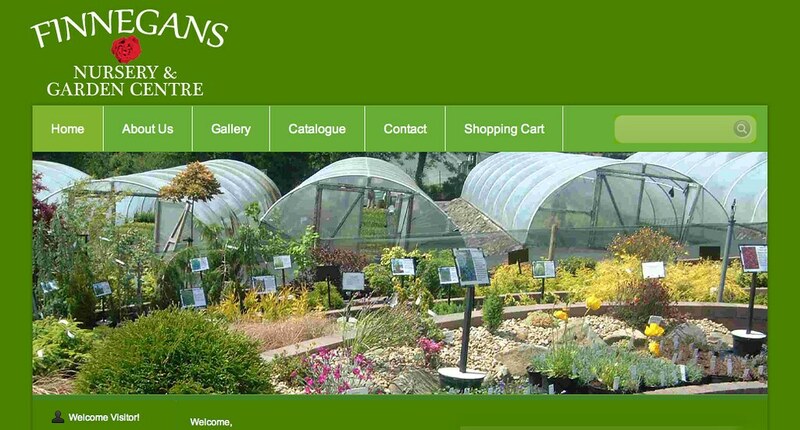 The garden centre didn’t have a website previously and they wanted the site to be easily managed by themselves for updating the content along with the future ability of having the full site using the shopping cart. For the initial launch the only thing users are allowed to purchase are gift certificates, anything else on the site will not be purchasable online until the client wishes for it too. It is always difficult to begin a site, i was unsure if i should go with a small piece of green or just go all out, i decided on the latter. It was difficult to get the right blend of greens, but after a day or so in Photoshop i got the colour and design nailed down. I decided, as i always do to use WordPress as the CMS, simply because i am really familiar with how it works and it provided useful plugin support along with great SEO functionality. Another feature, which was requested, was a custom email address; this is easy to set up thanks to Google. I am extremely happy with how the site has turned out. Last Friday i went out to the garden centre to show my client how the site works, and how to update the catalogue, which at the moment is blank, but in future the owner will add in everything they offer! Last month there was no activity at all here on this blog from me. This used to be a common occurrence for me, but for over the past year I haven’t missed a month without adding at least one blog post. A lot has happened over the last month including having a lot of work to get though both for college and personal work for clients. The main thing I have been working on over the last month or so was my Dissertation, at this stage I am completely sick of looking at anything related to my Dissertation title, which is Cloud Computing. Last Friday I submitted my second draft, this week I should get back feedback from my supervisor and with a bit of luck the changes will be minimal and the next step will be to get it leather bound! Other than my Dissertation, I have been doing a bit of work for clients. A site I am working on at the moment is a large task, it incorporates an online shop and when I am finished it will make a great addition to my portfolio. I only have a few weeks left in college until I finish up for Easter, but I will be busy over my Easter holidays with studying for my last ever exams in college and putting together a presentation for my dissertation. Until my exams are over in May my blog will be fairly quiet, whenever I get some time to sit down and put together a post I will. I have a few posts I want to get published and I will be starting an interesting project this summer with some fellow classmates from college.